Finally the patch Loco Por Ti America 4.0! With an extreme remodeling [reversing competitions], a spectacular gameplay and making the most that one can take the patch Pes, he comes to close with a flourish cycle Pes 2012. Special Thanks to Ercan Ayan PesBox who helped in the database for us! - Gameplay fierce, powerful players or anything like Messi or Cristiano Ronaldo. - Lineups extremely updated until the release date of it. - Kits highly upgraded [is not anything phony is not all updated on the tin] Except: Sport and Criciúmaúma]. - Narration Exclusive Luis Carlos Jr. Sportv! - New Logos exclusive updated, and the most interesting in HD! - 45 New Stadiums, 20 of them created within the game itself (+ detail below). - New Playlist, videos and background in game design. - Approximately 2800 faces scattered around the world. - Cup Brazil maintained, improved and redesigned, now has 85 teams. - Faces Coaches already installed to facilitate the creation of his coach (now you can grumble as Mourinho, create a new style of play as Pep Guardiola or "Talking Too" as Tite). - Europe and Rest of the World. Alianz Arena (with Mosaico), Barradão, Beira Rio, Bird Olympic Stadium, Camp Nou (with Mosaico), Casa Blanca, Centário Montevideo,Cuidad La Plata, Emirates Stadium, Engenhao, El Monumental, Frasqueirão, George Capwell, Ilha do Retiro, La Bombonera, Metropolitano Barranquila, Monumental de Lima, Morumbi, Nacional de Chile, Novo Independencia, Olimpico Monumental, Polidesportivo de Pueblo Nuevo, Santiago Bernabeu (with Mosaico), Serra Dourada. Aflitos, Arena do Jacaré, Brinco de Ouro, Couto Pereira, Defensores del Chaco, San Carlos de Apoquindo, José Amalfitani, La Olla, Libertadores da América, Mangueirão, Moisés Lucarelli, Monumental David Arellano, Orlando Scarpelli, Pacaembu, Palogrande, Presidente Vargas, Rei Pelé, Ressacada, Vila Capanema e Boleiros Stadium. - Another touch is the kitserver has approx. 20,000 files, it is possible that the game takes a while to come at the beginning but over the kitserver is to read faster. Any error in the report! For more details on the patch [credits and employees accessing the link belowthe list is huge and many people were talking we decided to dedicate a page just for them. 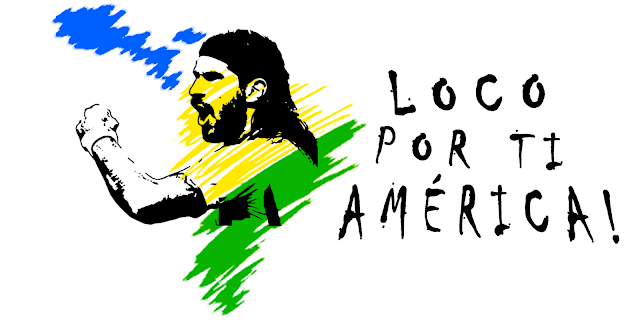 Download Pes Boleiros Loco Por Ti América 4.0. This is a mod for Pro Evolution Soccer 2012 video game.